The good news is that Jon & Vinny’s is offering a solution to the madness, at least for those willing to plunk down a credit card and sign a few papers. It’s called the Fusilli Club, which provides members a weekly standing reservation at the time slot of their choosing. Say you want to book a table for four every Tuesday night at 6 in perpetuum? Pay the $250 annual membership fee, sign a contract, and you’re set. The only catch is if you forget to cancel: Do it less than 24 hours in advance and you will be hit with a $100-per-person cancellation fee, plus an 18 percent service charge. Two late cancellations or no-shows will get your standing reservation revoked. On the advantage side, members do have the option of transferring their reservation to another party, provided the restaurant is given notice. For restaurateurs, the appeal of standing reservations is obvious: You can lock in a certain amount of business each night; you cultivate loyalty among regulars; and in the case of the Fusilli Club, customers can charge their meals to a card that’s already on file, removing any hassle of a bill dropping at the meal’s end (Shook does point out that club members may pay however they like). It’s easy to imagine the arrangement appealing to a certain class of Brentwood diner, too: entertainment types that want to host clients, celebrities who want to quietly slide in for brunch, etc. Industry favorites like Craig’s and Tower Bar have offered preferential treatment to well-connected regulars for years—this is L.A., after all—but Jon & Vinny’s might be the first place to formalize the system in a way that appears democratic (or at least staunchly capitalist). 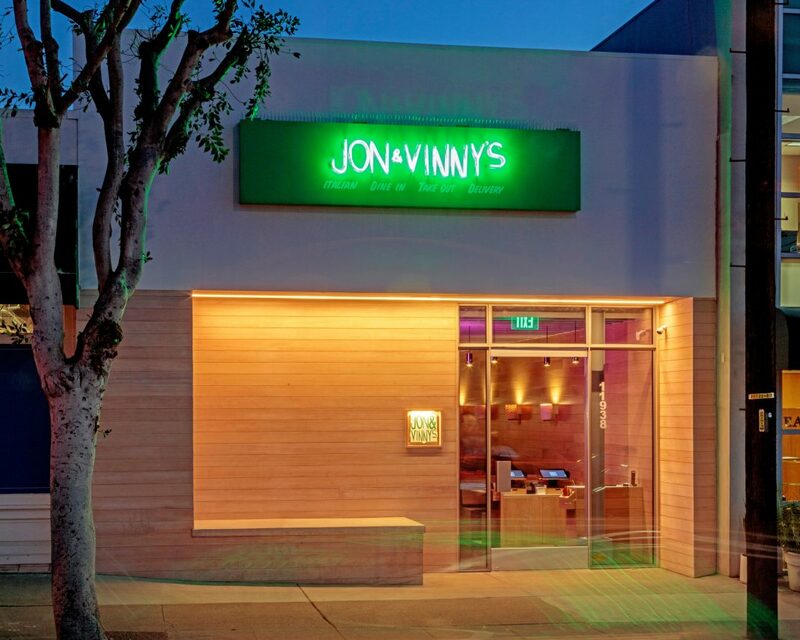 Jon & Vinny’s, 11938 San Vicente Blvd., Brentwood, jonandvinnys.com.